A great jumper who goes on any ground and was rarely out of the placings. 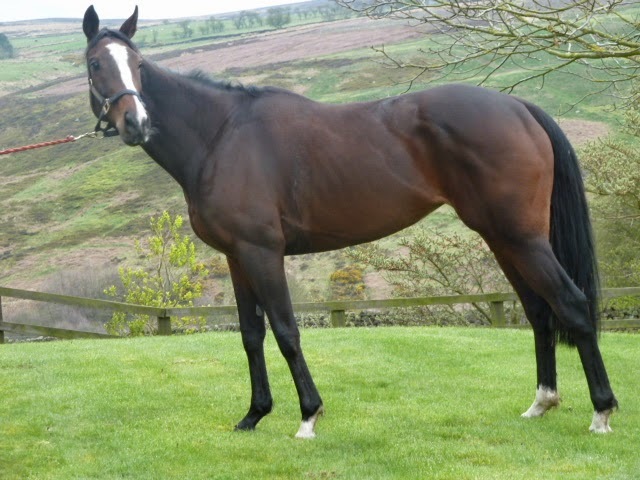 Great broodmare prospect as she is out of a black type mare. *Update* She is in foal to Robin Des Pres, due March 2016. Saddlers´ Hall - top-class 12f runner, dual-purpose sire, has sired 2yo winners but progeny generally need time. Dead. (2004 f. by Saddlers' Hall (IRE)): (above mare) 2 wins over hurdles, 2012 and £5293 and placed 7 times and placed once over fences, 2011; also 2 wins in point- to-points, 2012 and placed 4 times. W Six Times (GB) (06 f. by Double Trigger (IRE)): placed in a N.H. Flat Race at 6, 2012. BE MY MOT (IRE) (f. by Be My Native (USA)): see above. Welsh Singer: 2 wins, £7621: winner of a N.H. Flat Race; also winner over hurdles at 6 years and placed 5 times; also 3 wins in point-to-points and placed 10 times. Spanish Perra (IRE): winner of a point-to-point at 5 years and placed 3 times. Whistlejacquet (GB): 3 wins, £15,024: winner of a N.H. Flat Race at 3 years and £7295 and placed twice inc. 2nd EBF High Sheriff Jnr. Open NH Flat Race, Cheltenham, L.; also 2 wins over hurdles and £7729 and placed once. Quick Deal: 2 wins: winner of a N.H. Flat Race at 5 years; also winner over fences and placed 3 times. VULFORO: 13 wins, £7417: winner at 5 years; also 3 wins over hurdles at 6 years and 9 wins over fences inc. Power Gold Cup Steeplechase, Fairyhouse, L., 2nd John Jameson Cup Chase, Punchestown, L., Galway Plate, Galway, L.
Giolla An Ri: 2 wins over hurdles and placed; also placed in a N.H. Flat Race. Juan Les Pins: winner at 5 and placed.